you did (how you split it). How did you approach it? 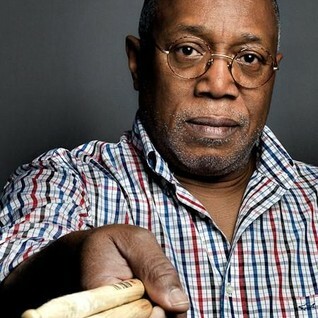 To the father of us, all - Billy Cobham! Thanks Pete, Marty is one of those guys who perceives music with certain color associations. He said the music he usually listens to is dark blue. So cerulean is a little lighter blue. Well I never thought about that rhythm in groupings and just internalized it as a groove off of the opening ostinato guitar pattern. You know, it sounds like that! Cerulean, Mouse's Labyrinth and Channels. ride cymbal but very nice touch. Loved the airy saxophone. Very good player.